I have to admit, I love crispy, salty potato chips. 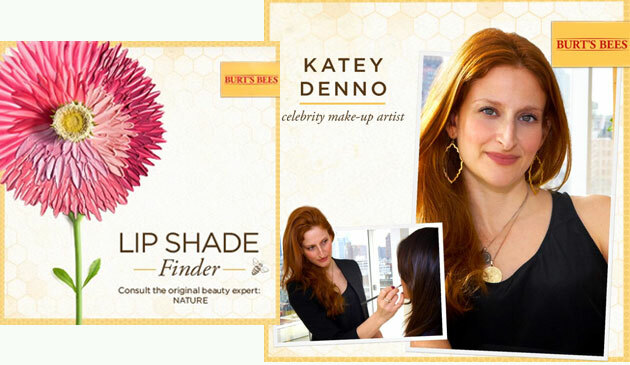 But I know as well as anyone how much fat and “bad” oils they contain, so they are eaten very very sparingly. However I don’t want to give up that crispy, salty, perfect snack. So instead I eat Kale Chips. They are super healthy, ready in minutes and really do the job when you have that snack like craving. Plus Kale is fat-free! High in Fiber, Iron, Calcium, Vitamins A, K and C and it’s an anti-inflammatory food. Feel free to get creative and add spices to your Kale Chips, for example some garlic powder or chili powder. Wash kale and cut stems off. Cut into chip size pieces. In a large boil add kale, olive oil and salt and pepper. Toss around to coat the kale. Line a cookie sheet with parchment paper and place kale on top, laying flat, try not to over lap. Bake for about 10-15 min. Keeping an eye on them so they don’t burn. 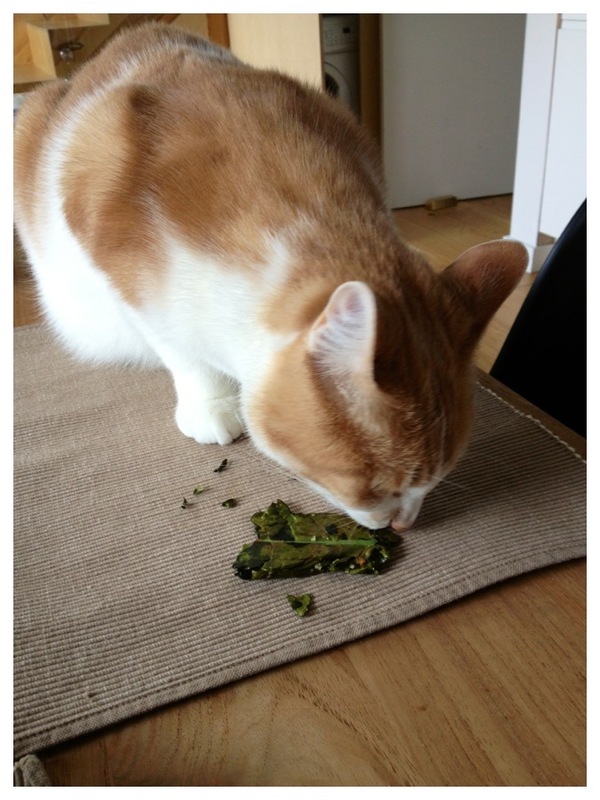 Even Buddy the Cat likes them! 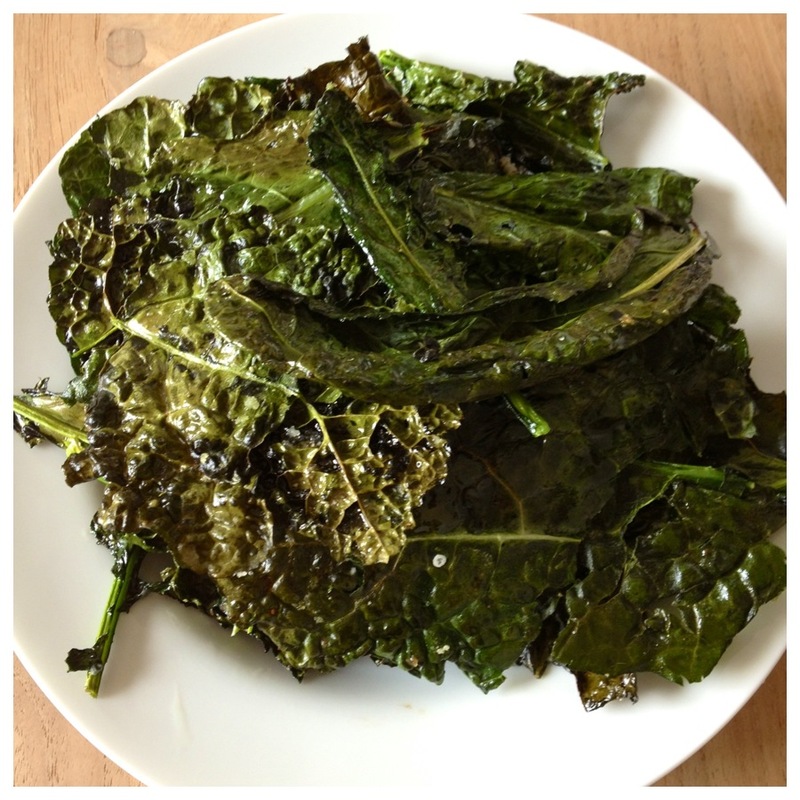 This entry was posted in ALL THINGS: KALE, BLOG, RECIPES, Uncategorized and tagged ALL THINGS: KALE, baked, chips, crisps, healthy, kale chips, low fat, model diet, snack on April 30, 2013 by Kelly O'Dell. Oh Kale, how do I love thee….let me count the ways…But before I count the ways, I wanted to mention the reason I am posting about Kale. The other day I purchased a bagged Organic variety from the grocery store (couldn’t get to the Farmers Market during the week) and noticed the cooking instructions on the back. BOIL. What?! Yep, that’s their advice. To add kale to boiling water and BOIL until SOGGY. Yuck. No wonder people shy away from greens. 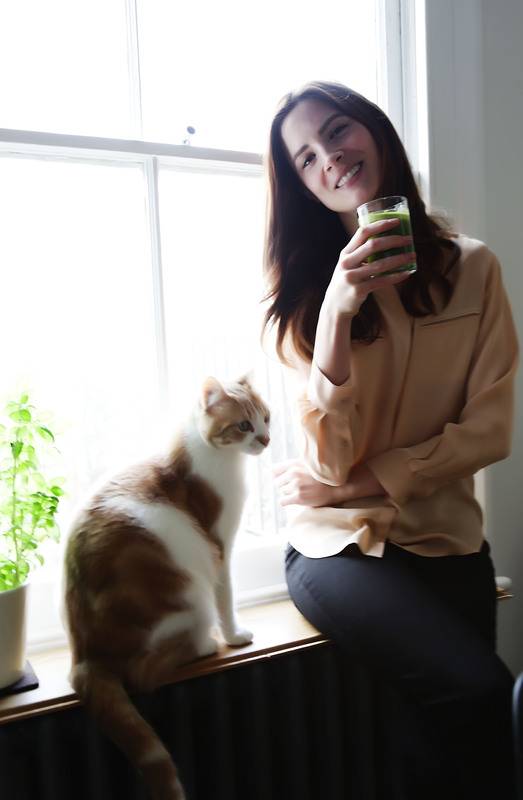 I hope the following recipes will inspire you to try this amazing and nutritious green. 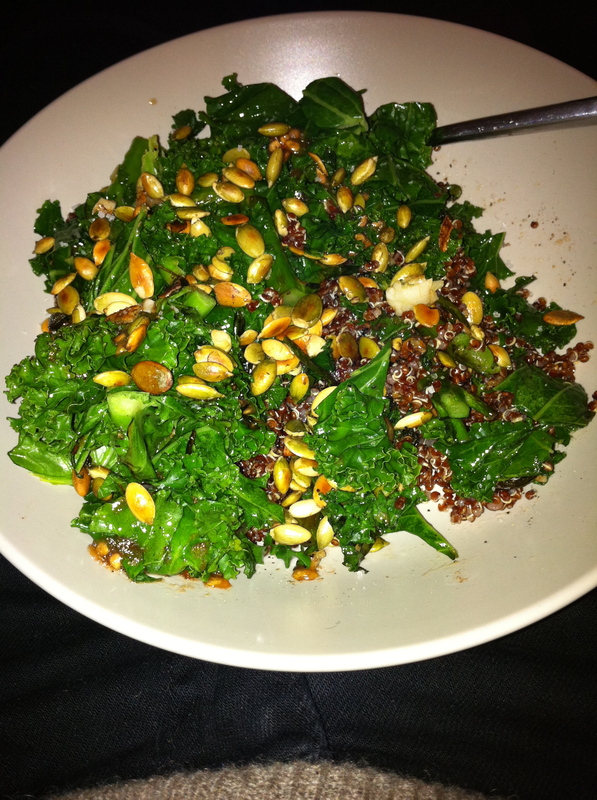 The ways I love Kale…..
1. Delicious! This green is so full of flavor. Yet its mild and sweet enough to eat raw or add to smoothies or green juice. 2. It’s a natural Medicine! Kale has cholesterol lowering abilities, helps to lower the risk of bladder, colon, breast, ovary and prostate cancers, aids in detox, has antioxidant and anti-inflammatory benefits which helps to reduce chronic inflammation in the body. 3. Nutritious! 1 cup of cooked Kale provides (% of daily value): and only 36 calories!! 4. Super easy to prepare! You treat Kale like lettuce, just chop and wash. You can even eat the stems, they stay crunchy when cooked. You can steam Kale, sauté it, roast it, bake it, add it to soups or casseroles, eat it raw (salads) or add it to your green juice. Note: There are a few varieties of Kale. The flatter, wider leaves are sometimes called Curly Kale. The longer, thinner, darker leaves are known as Dinosaur kale, Lacinta kale or Tuscan Kale. I find curly kale is milder in flavor and better for raw salads and juices. You’ll need a juicer for this or a high-powered blender. I am going to make a suggestion for a great and affordable juicer: Breville BJE200XL Compact Juice Fountain its only $99 on Amazon.com (see my Kitchen Tools for web address). Juice all of these ingredients together and feel the goodness pulse through your veins! You can be creative as you like with this, more apples will make it sweeter for example. I find this recipe to go down easy, even for those who vowed to never “drink that green stuff”. When consuming greens raw I suggest to cut them as thinly and finely as possible, so they can absorb the dressing and “marinate”, giving them a softer texture and burst with flavor. If you cut big thick chunks, well, that’s exactly how it will taste and feel in your mouth. Prepare the dressing and toss in the kale and salad and let sit for at least 20 min before serving so the kale can marinate and absorb the flavors. Add olive oil to a sauté pan and sauté Kale on med heat for about 10 min, tossing around every 2 min to get all the pieces browned. Remove from heat and plate. Lightly sprinkle on good quality olive oil and squeeze the juice of 1/2 a lemon, fresh cracked pepper and sea salt. Serve as a side or add to brown rice or quinoa as a main dish. Note: you can also add any type of toasted nut or seed you would like to give it a bit of crunch and protein. Move over potato chips! This is not only crunchy, light, salty, flavorful and addictive but it’s also HEALTHY!! 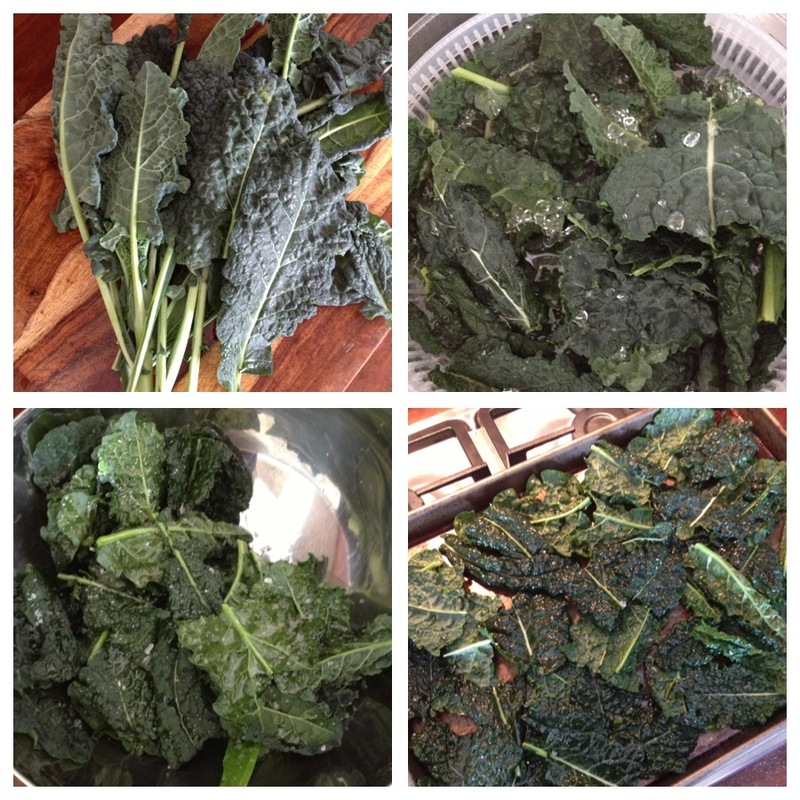 In a bowl toss the kale with a good drizzle of olive oil, just to coat them, not drench them. A good sprinkle of sea salt and cracked black pepper. If you want to take it a step further (taste wise) sprinkle on some parmesan cheese. Mmmmmm…. Place on a baking sheet and bake in the oven at 350 degrees for about 2-4 min. Keep an eye on them so they don’t burn. OMG….so good. 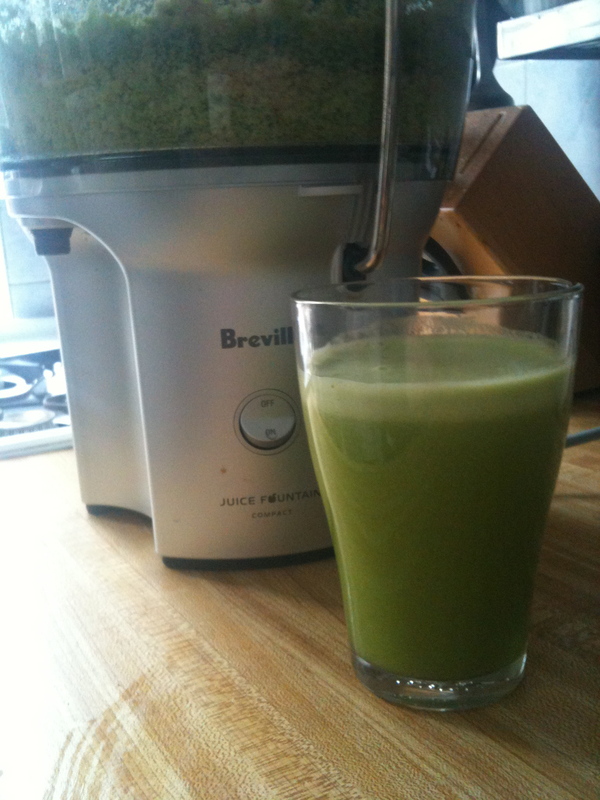 This entry was posted in ALL THINGS: KALE, JUICING on November 26, 2012 by Kelly O'Dell.